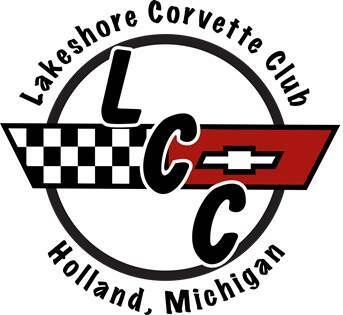 Are you interested in joining a club of Corvette Enthusiasts? We enjoy cruising, participating in car-related events, and just spending time together! What does it mean to be an NCCC club? We are part of a larger organization, which allows us to compete for regional and national points in sanctioned events such as rallies, speed events, etc. It also provides opportunities for our members to participate in national events such as cruise-ins, conventions, museum events, and to share the Corvette experience with thousands of members across the US. What is required for me to be an LCC Club Member? Members must be at least 18 years of age and be a Corvette owner. Prospective new members must complete an application and pay club and national dues. We meet the second Tuesday of each month. During the summer months we meet at Family Farm and Home in Holland, Michigan. We depart promptly at 6:30 pm and cruise to various restaurants for our monthly meeting and dinner. The club participates in other car-related events throughout the season. Can I join the club if I don′t currently own a Corvette? How old do members have to be to join the club, I would like for my son to join? How much does it cost to join and renew? Primary member initial dues are $61.00 and spouse/ significant other dues are $21.00. Renewals for primary member are $51.00 and $11.00 for the spouse/significant other.